Oishi is working at Rolls-Royce (RR) in the Control System department. Oishi’s current role is in Software Verification where she works in Hardware Software Integration (HSI) Test. Oishi previously completed a placement at Rolls-Royce working in software design for safety-critical software for aircraft’s engine control system. Furthermore, she has been highly involved in promoting Engineering to the younger generation and dedicates a lot of her personal time towards STEM-volunteering. Oishi is a member of the Rolls-Royce STEM group and has volunteered and organised several activities to promote engineering. Oishi’s volunteering activities includes mentoring, judging UK Space Design regional competition, speaking at schools, volunteering at Maker’s-Fair & Big-Bang fair among others. 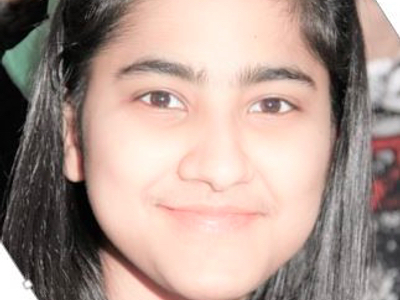 She has received recognition twice from Rolls-Royce for STEM volunteering work. Oishi graduated with BEng Software and Electronics Engineering with Industry degree from the University of Leicester. Oishi received the President and Vice Chancellor Student of the Year Award 2017. Oishi was shortlisted for the UK Telegraph STEM award 2017 in the power system category sponsored by Rolls-Royce. Oishi received the Achievement Award – Undergraduate Grant 2016 from the Institution of Engineering and Technology (IET) and also the recipient of the UK Naval Engineering Science and Technology scholarship award 2016. Prior to joining Rolls-Royce, Oishi was the chair of the ‘Women in Computer Science Leicester (WCSL)’ group at the University of Leicester from 2016-17. As the university is championing the UN’s goal of gender diversity through the HeforShe campaign, Oishi’s work as the chair contributed to the university’s objective of gender diversity. Apart from being the chair, she was also selected as a member of the Athena Swan Committee for the Informatics Department. For all the contributions Oishi had made, she was a finalist for the Frank May volunteer of the year award 2017. Desy Kristianti is an Analyst in Technology Consulting at Deloitte. Having worked there for 1.5 years, her work thus far has been technically focused in areas such as DevOps, Enterprise Integrations and Web Development. She has delivered multiple digital transformation programmes for private sector clients, implementing technical solutions and utilising new technologies. 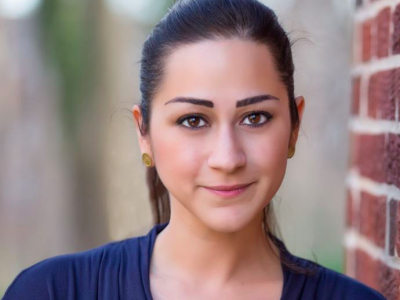 Previously, Desy interned at a startup as a front-end developer, owning 1 of the 3 key offerings of the web app. She also assisted the Founder in brainstorming, refining and prioritising requirements, designing the solution while applying Gamification concepts. 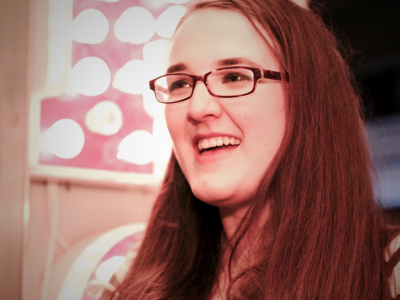 Her love for programming as well as designing a product led her to her career in tech consulting. Moreover, Desy believes in making an impact in the community and inspiring others. She is a City Leader at Women Who Code Belfast, and a Co-Founder and VP Events at Women of Indonesia (WIN) Career Network. Gender diversity is her passion and she enjoys organising various events from coding tutorials to talks and panel discussions. Nicky Zachariou is a mathematician by training and a data scientist by practice. She has an MSci in Mathematics, a PhD in Physics from Imperial College London and her research focussed on a complexity and networks science approach to the sustainability of socio-economic systems. As a recovering network scientist, she sees connections everywhere and believes that this knowledge can be applied to everyday interactions across government and everyday life. She believes that networks science can help you be more successful in your career and personal life as she she explains in her recent TEDxWhitehallWomen talk. As the co-founder of DataBeers London, she loves bringing data enthusiasts together from industry, government, academia and the arts to share stories. She helps break down the barriers between previously siloed industries through fun, beer and storytelling, with data as a universal language. Nicky has been working in Government since 2014 and is determined to help government get better at understanding patterns in data and being more innovative at using cutting edge technologies. Her superpower is explaining complex technical topics to non-specialists to show the value of data science and its application to real world problems. She’s currently leading the data science work on GOV.UK and using artificial intelligence, deep learning and network science to make GOV.UK better for its users. Selina is a promising technologist and research scientist with a track record of delivering innovative technologies and research findings with high impacts and addressing real world problems. She is very self-motivated and thrives when facing challenges. 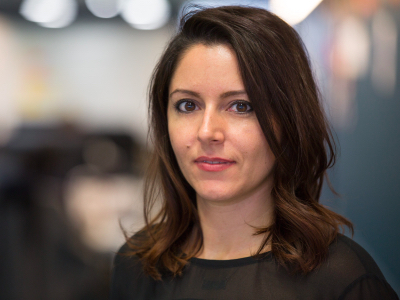 Before joining BT, Selina worked for 10 years as a Data Scientist & Mathematician in world-top academic research institutions including University of Oxford and LSHTM on national and global scale projects, as well as in the software development industry. She has a list of high-impact scientific publications in population health with more than 1400 citations worldwide and she has a winning machine learning model in one of ITU’s standardisation competitions, outperforming several global tech companies and resulting in a patent filed in both US and Europe. After joining BT’s cyber security research practice in December 2016, she quickly discovered and established new research directions in tackling malware epidemics. She now leads the Malware Analytics & Propagation Research within BT’s Research & Innovation Headquarter and is gradually establishing herself as the thought leader in this area internally and externally. 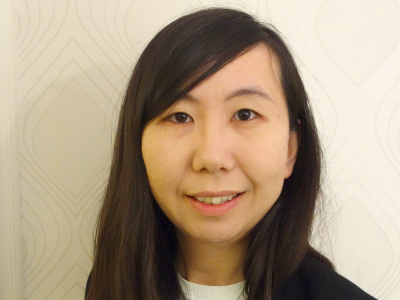 She has established several projects including applying AI & machine learning technologies and transferring population health knowledge to prevent malware attacks. 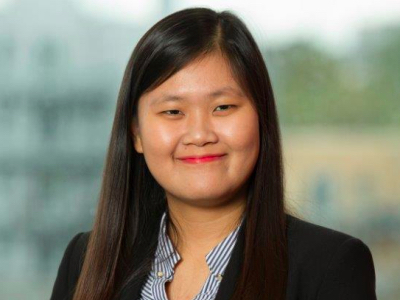 Within only a year at BT, Selina has discovered new and in-depth malware threat knowledge and subsequently proposed transformation solutions or guidance to improve BT’s anti-malware operation, for which she received BT R&I’s End of Year Recognition. She also proves to be a great inventor. It only took her five months from identifying a malware research theme to submitting her first malware invention to the patent attorney. Currently she has three patents being filed and more inventions in the pipeline. 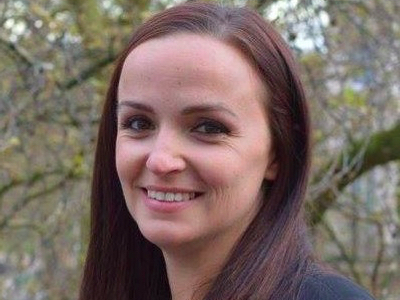 Last but not least, she works with large organisations from different EU countries on a European Commission funded project on cyber information sharing and she leads the engagement of BT business lines on that project. Selina has a Bachelor’s degree in Automation and Control Engineering, and MSc and PhD in applied mathematics and statistics. I have always had a passion for sports: I rowed and played football at school and for Oxford University, and I was brought up in a football supporting family, which is where my love of sport came from. I became interested in sports law as a career when I started reading about super-injunctions. I realised at that point that the worlds of sports and law are intertwined at many levels and I could forge a career in two areas I was interested in. I successfully applied for work experience at a media law firm that did some sports work and then joined top sports law firm Harbottle & Lewis to train as a lawyer. Shortly after qualification, in the summer of 2015 I joined the multi-award-winning BT media legal team, at an exciting time just before BT began broadcasting the UEFA Champions League and had the EE acquisition on the horizon. I spent two and half years as a Commercial Lawyer working in a small team which managed all the legal aspects of BT Sport, reporting directly to the Head of Legal. Towards the end of my time at BT I became aware of CAA’s increasing presence in the European sports market, as their relationships with Formula 1, Manchester City and sports stars like Dele Alli gained increasing publicity. I joined CAA in January 2018, as the sole sports lawyer in London, supporting the London and Munich offices, across areas including sponsorship and consulting. I report to the Global Head of Legal for CAA Sports, in New York. I was recently honoured to be named a Sport Industry NextGen Leader for 2018. Alongside my career I have coached rowing at a school in London and I volunteer on my university college’s boat club committee, supporting with sponsorship and purchasing of equipment to ensure future generations can have access to the sport without worrying about the cost. I am also very active in fundraising for Diabetes UK and run half marathons and marathons to fundraise in memory of my father, who passed away from diabetes nine years ago. I have represented England in two sports, football and boxing. As a youngster I loved both sports but boxing was banned for females back then so I never had the chance to compete, and so I went into football. After a successful football career where I played for England, played in an FA cup final, and played abroad in America and Sweden, I decided to finally pursue my dreams in boxing (it was by then legal for women.) As an amateur boxer I won a European silver medal, multi nations gold, and three national titles. I have now turned pro and I am Manchester’s only female professional boxer and one of only 16 in the UK with a 4-0 undefeated record. My finance post in the hospital has enabled me to priorities & manage tasks, of which i have taken in my personal life too. I am first and foremost a mum of two I have always encouraged my children to outdoors, this gave me great satisfaction, I slowly started transferring the skills from what my children were learning in outdoors to myself. The team involves 12 women from across Europe and the Arabian Peninsula; and I have the honour of representing our country. The team members are not elite athletes but ordinary women, - representing a diverse variety of occupations and backgrounds from journalist, scientist outdoor professionals, teachers, businesswomen and mothers - selection from over 1000 applicants. 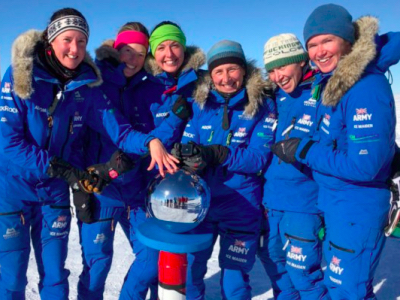 The core purpose of the expedition is to foster greater dialogue and understanding between women from the Western and Arabian cultures, in addition, the expedition will work to inspire women to reach beyond the expectations, To demonstrate the potential of greater intercultural understanding and to raise awareness of women in the North Pole who will find exceptional courage and teamwork to overcome the extreme conditions. Nics is a General Practitioner trainee, based in Portsmouth. 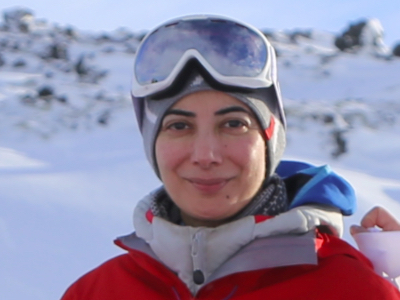 She earned an Army Medical Cadetship while studying at University of Southampton Medical School, and it was here she first thought of taking an all-female team across Antarctica. After commissioning from Sandhurst in December 2012 she was posted to Germany where she swapped her alpine racing background for Nordic skiing, and ended up captaining the Army Medical Services Ladies’ Biathlon team. Meeting Nat Taylor along the way, she realised this was the partner she had been waiting for to fulfil the Antarctic dream and encourage girls to take up adventurous training. Nics is particularly focused on promoting the benefits of physical activity and encouraging girls and women of all ages to stretch themselves both physically and mentally. Nat is a Regimental Medical Officer and General Practitioner at 1 RIFLES, based in Wales. After commissioning from Sandhurst in 2010 Nat has served in Germany, Afghanistan and the UK. Passionate about teaching she is also a Battlefield Advanced Life Support Instructor. Nat trained to become a cross-country ski instructor while studying medicine and has been fortunate to captain the Army Medical Services Ladies’ biathlon and Nordic ski team. 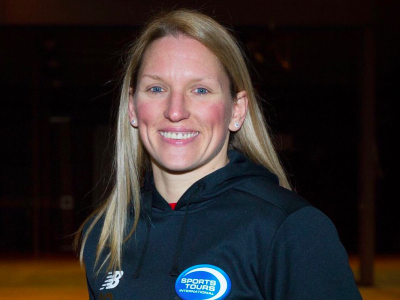 Outside of work Natalie competed at the Adventure Racing World Championships with Team Endurancelife and won the 6633 Arctic Ultra Marathon in 2015. In her other role as Vice President of Girlguiding Breconshire, she is passionate about encouraging young women to exceed their potential. Sandy is a Reservist officer with 37 Signal Regiment based in Redditch, and works in an employer support role. She started her Army career as a radio technician and reached the rank of Corporal before attending Sandhurst and commissioning back into the Royal Signals. After completing tours of Kosovo, Iraq and Afghanistan she left the Regular Army to join the Reserves in 2014. Sandy splits her time between leading overseas expeditions, outdoor instruction and team building/leadership development. She has participated in military and civilian expeditions, climbing and mountaineering in the UK, Spain, the Alps, Nepal, USA, Norway and Peru. She enjoys anything which takes her outdoors and can’t turn down a challenge, which has led to many adventures from traversing the Cuillin Ridge to completing the Devizes to Westminster kayak marathon, and more recently competing in the Original Mountain Marathon (OMM). Sandy can usually be found living out of her camper van, wandering in the hills with her dog Bracken or riding the local mountain bike trails. Zanna is a Cultural Specialist at the Defence Cultural Specialist Unit (DCSU). Prior to commissioning from the Royal Military Academy Sandhurst into the Royal Artillery, she was a jack-of-all-trades, dabbling in art and geography, then specialising in music and languages. Not liking to sit still for long, she has travelled extensively, including longer periods spent in Nepal and the Middle East. Her life goal of walking to the South Pole was inspired at the age of 18 by a two month mountaineering and scientific expedition to South Georgia. Not only did this develop a dream of hers, she realised the extent of her love for the outdoors in spite of the austere environment, which ultimately led to her joining the military. Jenni is a Battery Operations Officer at 32nd Regiment, Royal Artillery based in Larkhill, Salisbury. She graduated from Durham University with a BA (Hons) in English Literature and Philosophy and an MA in English Literary Studies. She went on to work as a Literacy Coordinator at Sir William Borlase’s Grammar School in Marlow, Buckinghamshire, before joining the Army. Jenni commissioned from the Royal Military Academy Sandhurst in April 2015, and in August 2016 completed her first IRONMAN with fellow Ice Maiden Nics Wetherill. In her downtime Jenni loves reading and spends many weekends in Henley on Thames, training and competing for Upper Thames Rowing Club. She captained the 32nd Regiment Nordic Ski Team in winter 2016/17. A move into marketing in 2011 coincided with her joining the Honourable Artillery Company in search of a physical challenge that would offset the desk job. She loves anything to do with the mountains and is a keen trail runner, completing the Jura Fell Race and running 60km in 24hrs in the Thunder Run 2016.